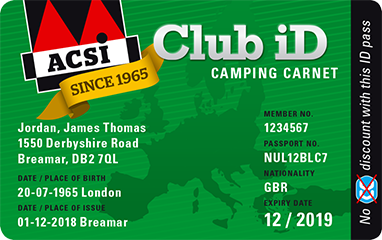 ACSI Club ID is the new Camping Carnet for Europe! It offers plenty of advantages. You can recognise the camp sites on this website that accept the ACSI Club ID by the ACSI Club ID icon. If you only want to stay at camp sites that accept the ACSI Club ID, search under Amenities and select ACSI Club ID.